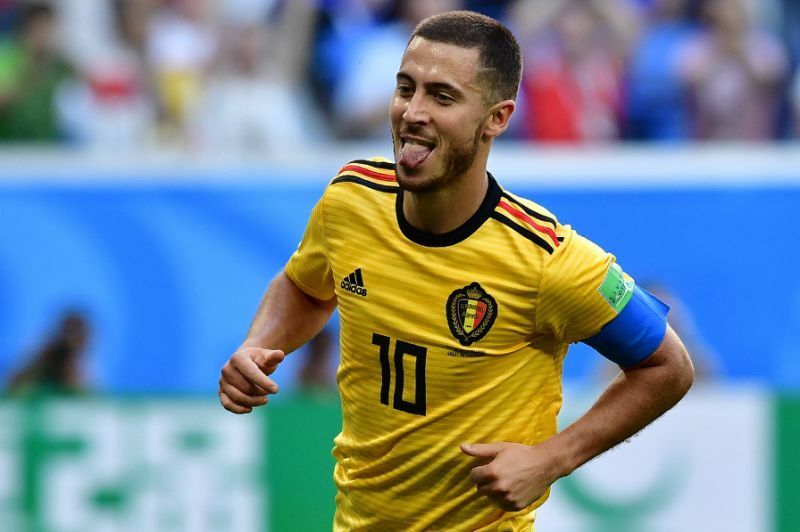 Yes, it was only the third-place play-off , and, no, nobody really cares about it, but at least Eden Hazard used this dubious spectacle to leave a further reminder of his talents. 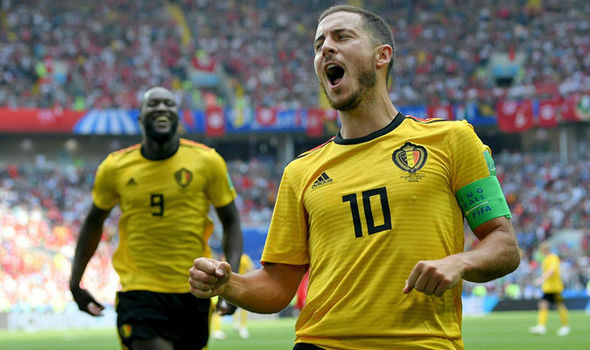 Hazard has had a good World Cup. He may not have come up with the goods when it mattered against France in the semi-final, and nobody is saying he should win the Golden Ball, but this is not a World Cup blessed with stunning individual performances. You get the sense the world is waiting for Kylian Mbappe to do something spectular in the final on Sunday, because so far this has been a tournament dominated by organised, physical sides. Hazard has always been something of an enigma, seemingly willing to turn his quality on and off depending on who his manager is. In 'the Jose Mourinho season' - the second one - he was nowhere to be seen. Last year, when Antonio Conte had his own Mourinho season, it was a similar story. There is also the question mark surrounding him and his contribution in big games - one that will not be dispelled in St Petersburg. Yet he at least made the difference in the FA Cup final, his superb run earning the penalty that he got up to score, and throughout Belgium's run to the semi-finals in Russia there has been more of that Hazard than the one who has so often frustrated. Chelsea fans, with England's World Cup now done and Maurizio Sarri now finally on board , will start to look ahead to next season and they will certainly be hoping he has one of his better seasons - if he stays around. With Sarri and new midfielder Jorginho now at the club, Chelsea's latest new era can get under way. Yet the Londoners' problems have not been solved with the arrival of the two Italians, not by a long stretch. There have been suggestions that Chelsea are struggling for cash, as a result of the UK government's backlash against Russia and its oligarchs in the wake of the Salisbury and Amesbury Novichok scandals and Roman Abramovich has already shelved plans for a new stadium . Whether that was as a result of cash-flow, a grievance with the local government or some other disatisfaction, it does not bode particularly well for Chelsea. And with the World Cup ending, the transfer market will truly start. Real Madrid are looking for a Cristiano Ronaldo replacement, and nobody would be surprised if Hazard's name is near the top of their list. Especially as he only has two years left on his current deal - a dangerous predicament for the Blues. Manchester City have been sniffing around, too, although their reaction to Jorginho's move to Chelsea will have done nothing to smooth relations between the two clubs. If Madrid is to be his destination, they will need to see the best Hazard. A better Hazard than we've ever seen before. 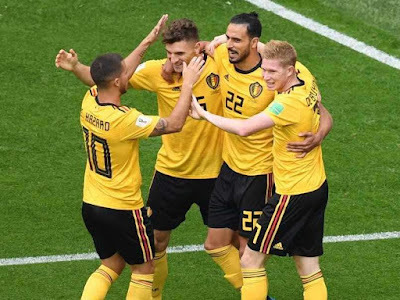 If the Madrid fans, as influential as they are, expect Ronaldo-esque numbers from the Belgian it is fair to say he will have to take his game to new heights. If he does decide to stay at Stamford Bridge, he will have a huge role to play as Sarri slows goes about implementing his style. Much like Pep Guardiola's first season at the Etihad Stadium, a few bumps along the way are to be expected. Star quality is enough to keep you towards the top of the Premier League even when the system doesn't work perfectly - as City's fourth-place finish two seasons ago will attest - and there are no bigger stars at Chelsea than Hazard. Whatever his club come the start of the new season, he will have to be the main man. At 27 years old he is coming into what should be the best years of his career, and his performances in Russia this summer have suggested that there is still plenty more to come. At his best this summer, he has terrified defences - no player has completed more dribbles than him, or even come close - and against England on Saturday he showed yet again that he is capable of the truly sublime, with a well-taken goal at the end of another mesmerising dribble. It was only the third-place play-off, and he's already proven at Wembley that Phil Jones is not a particularly difficult obstacle for him to outwit, but Hazard again showed why he is likely to be one of the transfer window's most sought-after stars. And when the football starts again in just a few weeks' time, he will have to prove that he really is that special.